Exeter-Milligan First Graders celebrated Grandparent's Day on Friday inviting their grandparents to a program in the afternoon. The sang several songs and performed two short plays before presenting their grandparents with pictures of themselves, showing them their classroom and having their picture made with their grandparents. Their teacher is Mrs. Sharon Lott. 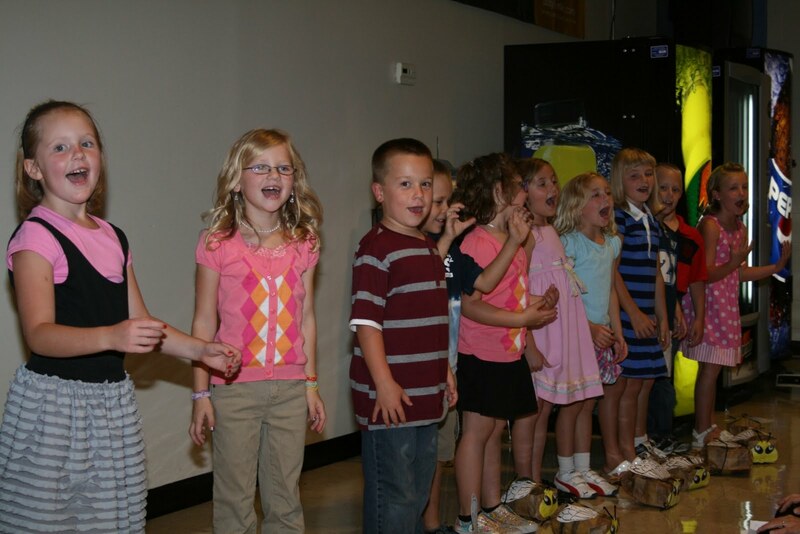 Pictured performing a song from the left are Briana Capek, Alivia Hartmann, Alec Schlueter, Kole Svec, Rebecca Krupicka, Katelyn Babula, Cameran Jansky, Olivia Poppert, Braden Capek and Emma Olsen. 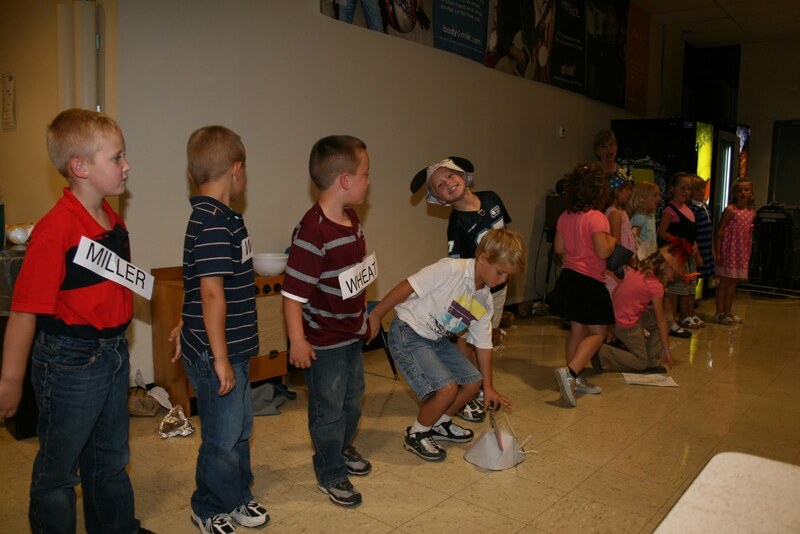 Casey Underwood, far left, plays "The Miller" in the "Little Red Hen" with from the left Peyton Pribyl and Alec Schlueter his kernels of wheat, Ben Bartu is the mouse with Braden Capek as the dog as Exeter-Milligan Kindergarteners performed "The Little Red Hen."